English actor John Hurt (CBE) has died from pancreatic cancer on January 25, 2017 at the age of 77. After announcing in June 2015 that he had pancreatic cancer and would continue working through treatment, in October that year he said it was in remission. John Hurt leaves behind his wife, Anwen Rees-Myers, 3 ex-wives (Annette Robertson, Donna Peacock, and Joan Dalton), and 2 children from his marriage to Joan Dalton. Baby boomers and senior may remember John Hurt from his powerful performance in The Elephant Man (1980) as John Merrick. 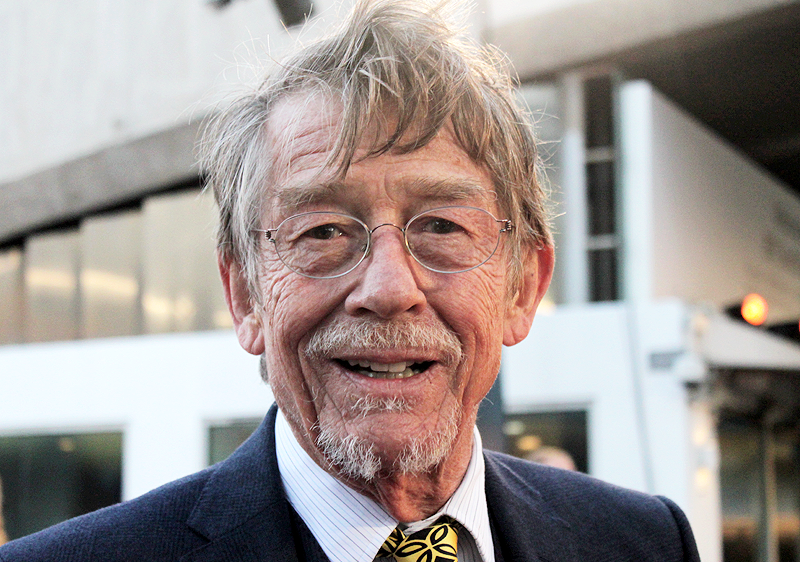 John Hurt subsequently became a supporter of the Proteus Syndrome Foundation. Proteus Syndrome is believed to be the disfiguring condition that the real-life "Elephant Man", Joseph Merrick, suffered from. John Hurt's co-stars in The Elephant Man included Anthony Hopkins as compassionate Dr. Frederick Treves, Anne Bancroft, and John Gielgud. Below, John Hurt as The Elephant Man in a movie clip that captures the anguish of John Merrick as so expertly portrayed by John Hurt. 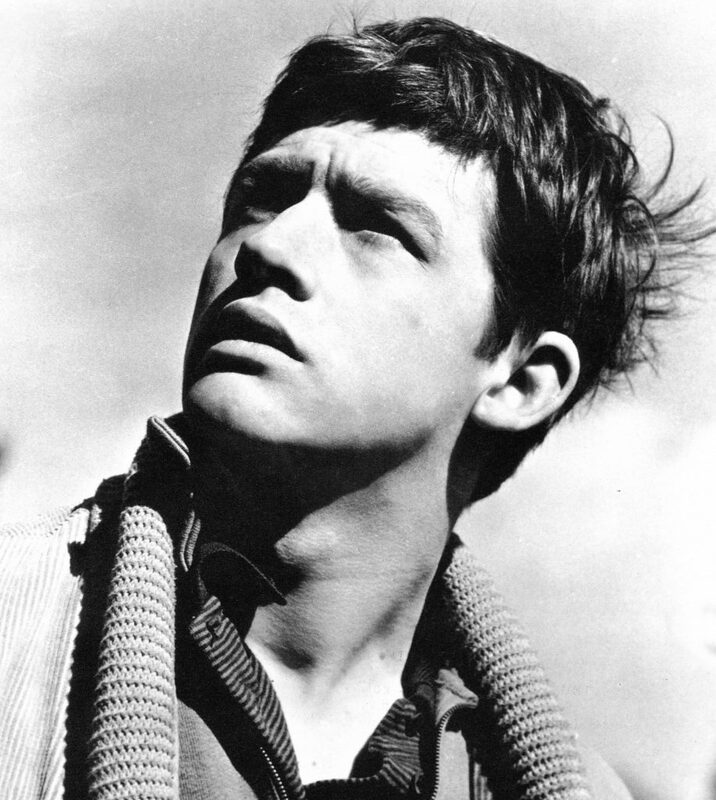 John Hurt was born on January 22, 1940 in Shirebrook, England. 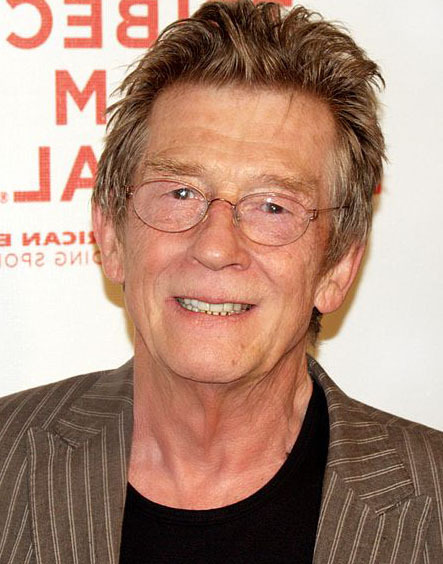 Although primarily known for his work onscreen in feature films, John Hurt was also a voice actor (The Dragon in Merlin from 2008-2012), and appeared in many other television productions including the mini-series I, Claudius (1976) as Caligula; Crime and Punishment (1979) as Raskolnikov; and the 2012 mini-series Labyrinth. He had an early starring role in a movie about Scottish highwayman Davey Haggart in Sinful Davey (1969), and again in Cry of the Penguins (1971; original title Mr. Forbush and the Penguins). His Cry of the Penguins co-star was former Disney child actress Hayley Mills. Below, John Hurt and Hayley Mills in a scene from Cry of the Penguins. Timothy John Evans in 10 Rillington Place (1971). 10 Rillington Place is about British serial killer John Christie (played by Richard Attenborough) and his neighbours Tim and Beverly Evans (Judy Geeson). Max in Midnight Express (1978). Midnight Express is about American college student Bill Hayes (Brad Davis), who is thrown into a Turkish prison drug smuggling. Bo Hopkins, Randy Quaid, and John Hurt are among the supporting actors in Midnight Express. During the 1980's and 1990's, John Hurt's critically acclaimed performances on film included Champions (1984) as steeple chase jockey Bob Champion; Nineteen Eighty-Four (1984) co-starring Richard Burton; The Field (1990) with Richard Harris and Sean Bean; and Love and Death on Long Island (1997) with Canadian actors Jason Priestley and Maury Chaykin. 1984 (1984) based on the George Orwell novel, a vision of a futurist totalitarian world. 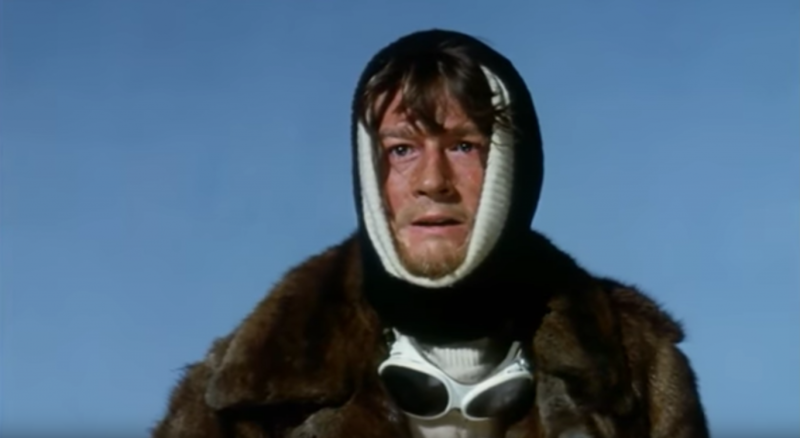 John Hurt starred, with Richard Burton, and Suzanna Hamilton in supporting roles. Below, a movie clip for 1984 that features John Hurt and Suzanna Hamilton. Scandal (1989), based on the love affairs between British dancer Christine Keeler (Joanne Whalley and osteopath Stephen Ward (John Hurt); British Minister of War John Profumo (Ian McKellen); and Russian naval attache Yevgeni Ivanov. Supporting cast members in Scandal included Bridget Fonda as Keeler's friend Mandy Rice-Davies, and Britt Ekland. King Ralph (1991), a romantic comedy starring John Goodman, with Peter O'Toole and John Hurt playing British aristocrats. Even Cowgirls Get the Blues (1993), a romantic comedy starring Uma Thurman. The large cast of Even Cowgirls Get the Blues included Lorraine Bracco, Pat Morita, Angie Dickinson, Keanu Reeves, Ed Begley Jr. Sean Young, Carol Kane, Crispin Glover, Roseanne Barr, Grace Zabriskie (Twin Peaks), and Heather Graham. Contact (1997), a sci-fi movie starring Jodie Foster. John Hurt co-starred in Contact along with Matthew McConaughey, Tom Skerritt (in his second movie with John Hurt, after 1979's Alien), William Fichtner, James Woods, and Angela Bassett. The Osterman Weekend (1983), a spy thriller co-starring Rutger Hauer, Craig T. Nelson as Bernard Osterman, Dennis Hopper, Chris Sarandon, Helen Shaver, and Burt Lancaster. Below, John Hurt, Rutger Hauer, Craig T. Nelson, Dennis Hopper, Meg Foster, Helen Shaver, Chris Sarandon, and Burt Lancaster are featured in The Osterman Weekend movie trailer. Captain Corelli's Mandolin (2001), starring Nicolas Cage, Penélope Cruz, and Christian Bale. Crime and Punishment (2002), playing chief investigator Porfiry (a different role than he had played in the 1979 TV mini-series Crime and Punishment). Hellboy (2004) and the sequel Hellboy II: The Golden Army (2008), both starring Ron Perlman. John Hurt played Professor Trevor "Broom" Bruttenholm, with a signifcant role in Hellboy and a cameo in the sequel. The Skeleton Key (2005) starring Kate Hudson and Peter Sarsgaard. Gena Rowlands and John Hurt play Violet and Ben Devereaux in The Skeleton Key. Indiana Jones and the Kingdom of the Crystal Skull (2008), starring Harrison Ford, Cate Blanchett, and Shia La Beouf. Harry Potter and the Deathly Hallows - Part 2 (2011). Below, a clip from Harry Potter and the Sorcerer's Stone that features Daniel Radcliffe as Harry Potter, Robbie Coltrane as Hagrid, and John Hurt as Mr. Ollivander. Four movies featuring John Hurt are slated to be released posthumously in 2017, including Darkest Hour, in which he plays Neville Chamberlain. "I can’t say I worry about mortality, but it’s impossible to get to my age and not have a little contemplation of it...We’re all just passing time, and occupy our chair very briefly." Farewell, John Hurt. You will be missed.